from the sun this summer with these two fantastic products. 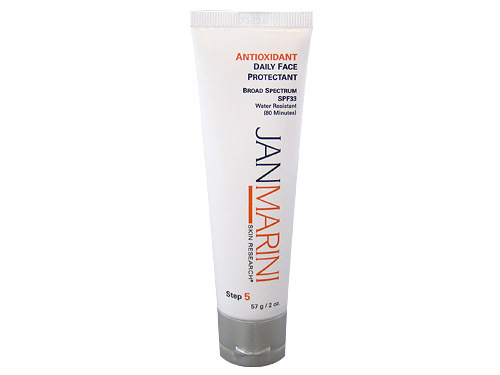 Jan Marini Antioxidant Daily Face Protectant Broad Spectrum SPF33. This water resistant sun block offers UVA and UVB protection while it controls oil and hydrates the skin. 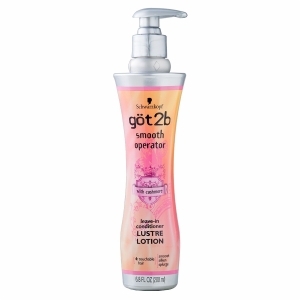 It is weightless and fast absorbing, perfect for under makeup. Enhanced by the anti-inflammatory, antioxidant and skin rejuvenating benefits of phytomelanin and beta glucan 1,3 to help prevent and reverse damage caused by sun exposure. 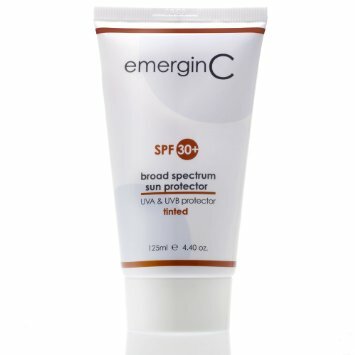 EmerginC spf30+ broad spectrum sun protector is also light weight and provides UVA & UVB protection. I prefer the tinted option to give a little color and coverage. It is formulated with hydrators, vitamins, antioxidants and herbal extracts. Vitamin C improves tone and texture while fighting fine lines and wrinkles. In addition green tea and aloe vera will sooth while sea buck torn extract, licorice root , maritime pine bark, and panthenol create the ultimate block and skincare.